"Are you quite sure you're ready for the work-place, Paddington?" Studiocanal UK has unveiled the new full-length trailer for the live-action Paddington bear sequel, titled simply Paddington 2. In this movie, Paddington the bear, now happily settled with the Brown family, picks up a series of odd jobs to buy the perfect present (a book) for his Aunt Lucy's 100th birthday, only for the gift to be stolen. 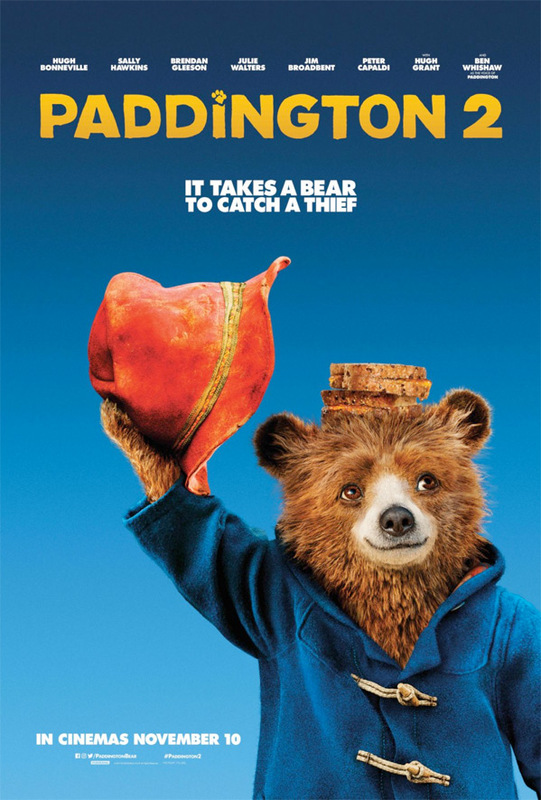 The film's very British cast includes Hugh Grant, Brendan Gleeson, Peter Capaldi, Sally Hawkins, Julie Walters, Jim Broadbent, and Hugh Bonneville, with Ben Whishaw returning as the voice of Paddington, and Imelda Staunton as the voice of Aunt Lucy. I much, much prefer this movie to the other British hybrid-CGI movie Peter Rabbit, which looks terrible. This, on the other hand, looks very adorable and totally fun. You can still watch the first teaser trailer for Paddington 2 here, to see different footage from this sequel. Paddington is happily settled with the Brown family in Windsor Gardens, where he has become a popular member of the community, spreading joy and marmalade wherever he goes. While searching for the perfect present for his beloved Aunt Lucy's 100th birthday, Paddington spots a unique pop-up book in Mr. Gruber's antique shop, and embarks upon a series of odd jobs to buy it. But when the book is stolen, it's up to Paddington and the Browns to unmask the thief. Paddington 2 is directed again by British filmmaker Paul King, of the first Paddington and "The Mighty Boosh" previously. The screenplay is written by Simon Farnaby and Paul King. StudioCanal will release Paddington 2 in the UK starting this November, but The Weinstein Company will open the film in US theaters starting January 12th, 2018. Who's excited for this?